Despite the chilly frosty wind, all came to “calligraphy-ing” yesterday! Thanks very much to everyone who attended the workshop. I am very glad to get to know and to teach such mindfulness people! Calligraphy texts will be all winter-feeling inspired. 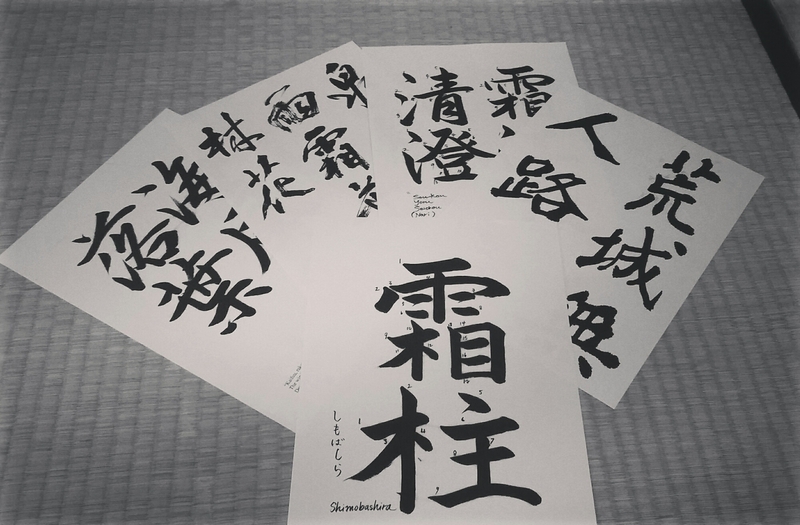 Besides our calligraphy practice, I will provide a pair of blank cards. So if you want, you can either do calligraphy on the cards, or fix an extra calligraphy paper on- as you get inspired towards the end of the workshop. It would be an unique card for Christmas. For sign up, please send me a direct mail.